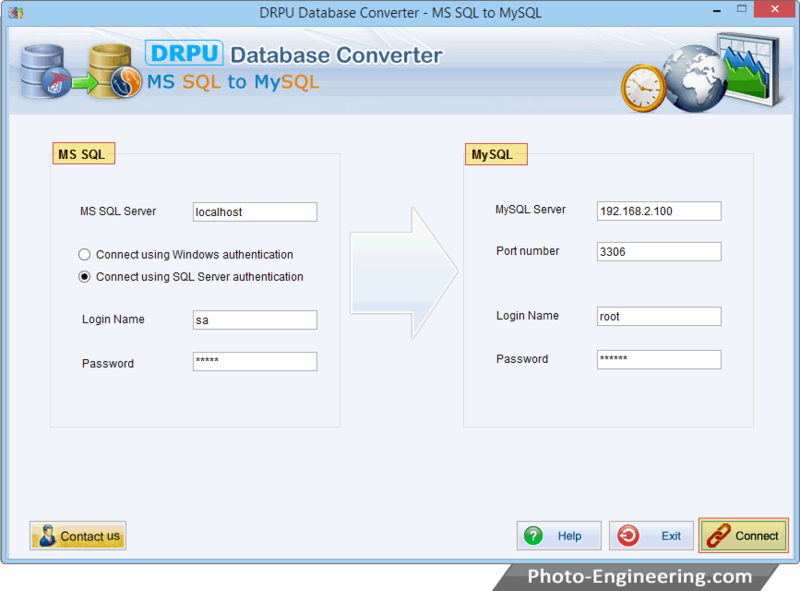 Connect MS SQL server and MySQL server using SQL server authentication and then click on “Connect” button to establish connection. 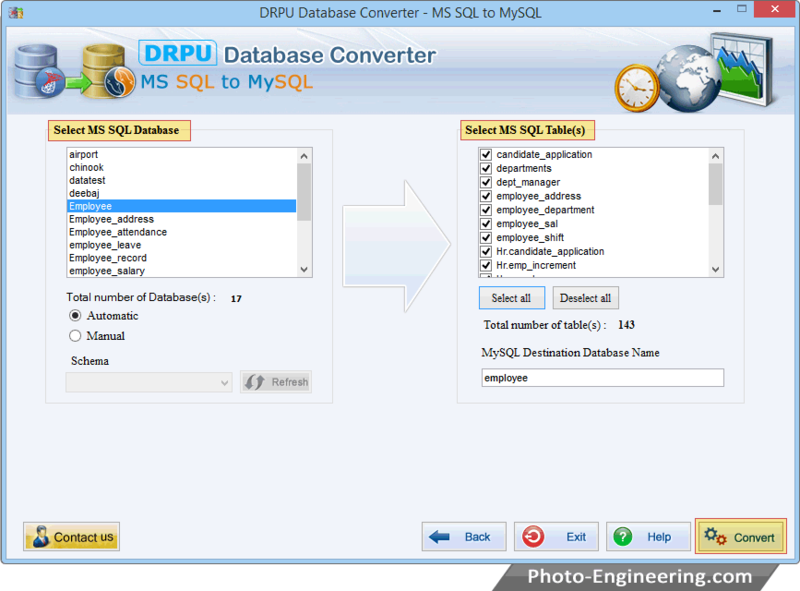 Select MS SQL database and enable automatic option to convert schema items automatically. 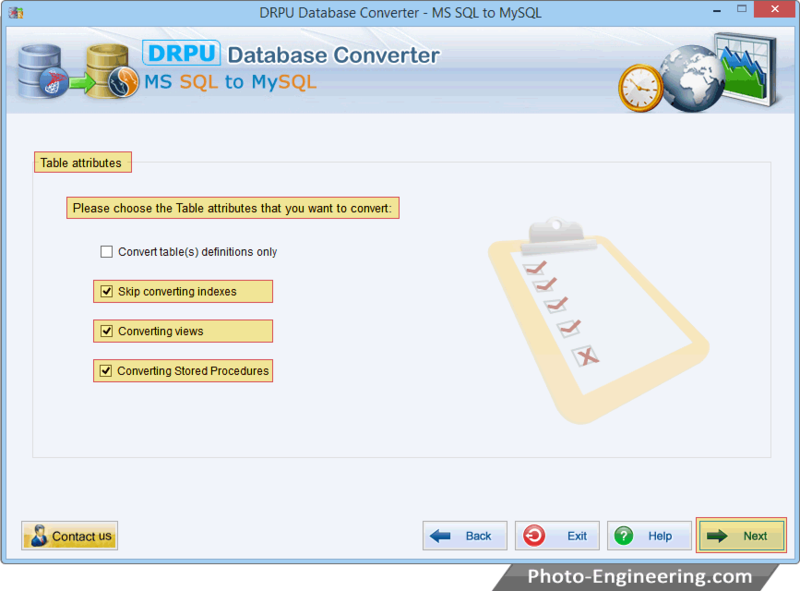 Now select MS SQL table(s) and then press “Convert” button to start database conversion process. 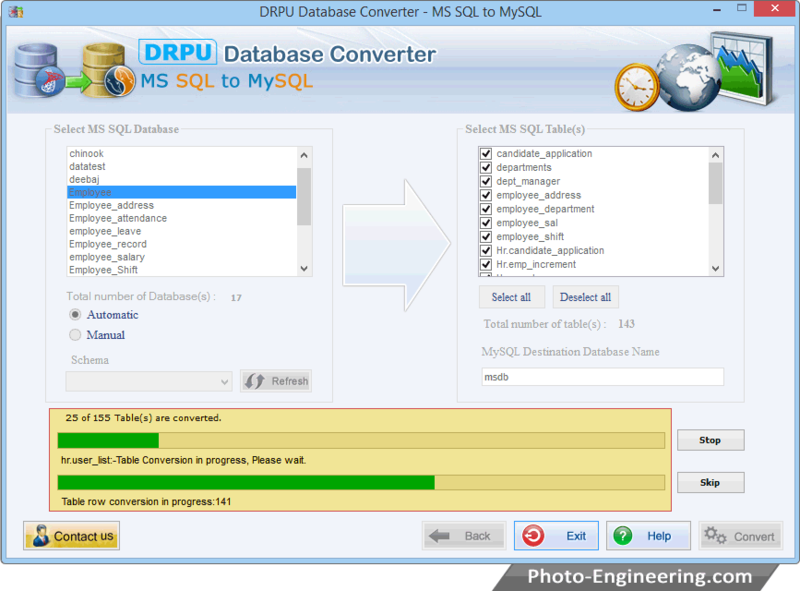 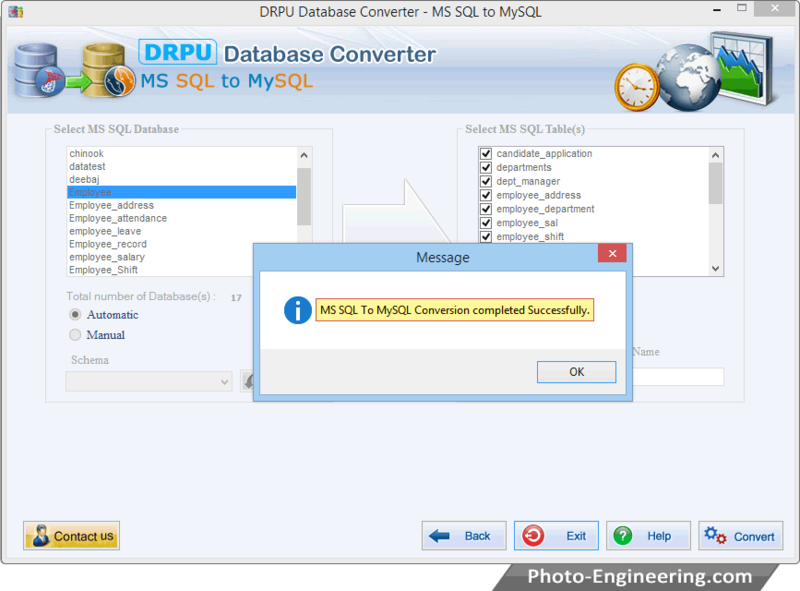 Screen shows MS SQL to MySQL database conversion process has been completed successfully.